Lots of free, good-hearted advice comes your way as a writer, as in: “I have a great story. Let me tell it to you and you write it.” Or “You’re writing about X. Be sure to put in Y.” My husband Maurizio and our friend Daniel have often, often suggested that I slip some vampires in my novel. Surely sales would increase. Who cares, really, about historical fiction? And they may be right, but I guess I’m just not the vampire type. Which doesn’t mean the suggestions stop rolling. As I start my third novel, here come the vampire ideas again. Which leads to my challenge. They should write about vampires. Maurizio is a medical physicist specializing in positron emission tomography (PET) imaging. He writes many thrilling articles on this topic for professional journals with devoted readership. He could (and should) slip in: “Male, 46 years, vampire, presenting with multiple tumors” or “Female, 31, not a vampire, history of seizures.” Daniel’s work in issues of environmental and economic sustainability of biofuels production and impact of international trade on food security presents a small challenge in vampire application. But not insurmountable. 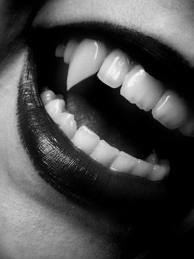 How will future trade agreements on blood tariffs impact vampire food supply? Can blood byproducts aid in biofuel production? We don’t know, do we? Could vampires grow beans in their spare time? Stay tuned. I’m thinking of an appropriate gift for the first vampire inclusion and meanwhile I’m working away on my own story.